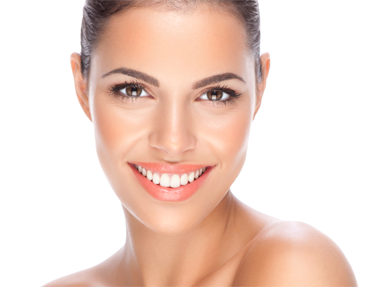 The key to facial rejuvenation is a natural, refreshed look. What about your training makes you well qualified to perform challenging cases? My educational background has provided me with rigorous academic experience. I performed my undergraduate and medical training at Stanford University, and my surgical training at Harvard University, learning the ins and outs of complex, in-depth techniques. What is most important to you in regards to your surgical practice? Achieving patient satisfaction will always be the most important goal. Having patients exclaim, 'my results are amazing; why didn't I do this earlier?' Is the ultimate compliment because the decision to have surgery is a major event in any person's life. How would you describe a patient's first visit to your office? 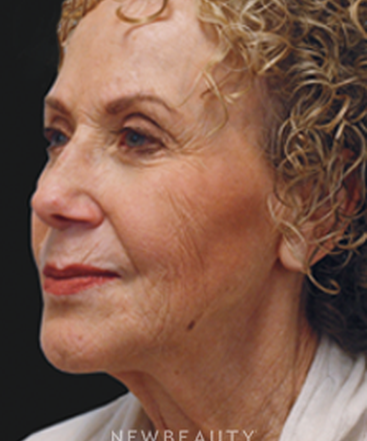 I spend a great deal of time with patients during our consultation reviewing their concerns, helping them understand facial aging and facial anatomy, and developing a treatment plan that targets their personal goals. What is your philosophy on facial rejuvenation? Why did you become a facial plastic surgeon as opposed to a different kind of doctor? I consider the head and neck the most challenging parts of the body. The ability to help people look better involves high stakes and demands a perfectionist approach, which drives me. Is pro-bono work important to you? I strongly believe in giving back to the community through medical mission trips aimed at disadvantaged populations. The health and safety of my family and the opportunity to give my all and provide excellent medical care to my patients. In the middle of the night, my husband, Fritz fell down and tore his right ear pretty badly. At the Saddleback Emergency Room, Dr. Yeh came and very meticulously stitched up Fritz's ear, starting from the inside cartilage to the outside ear. Due to the very detailed beautiful work of Dr. Yeh, and follow-up checkups, Fritz's ear is now healed with hardly a scar. Thank you, Dr. Yeh, for saving Fritz's ear!" I found Dr. Yeh through my insurance website after suffering a dog bite while out of town. I needed to find a follow-up physician to check on sutures that were done in the emergency room on the trip. I was squeezed in as an emergency at Dr. Yeh's office and he was very thoughtful and detailed with my after care. 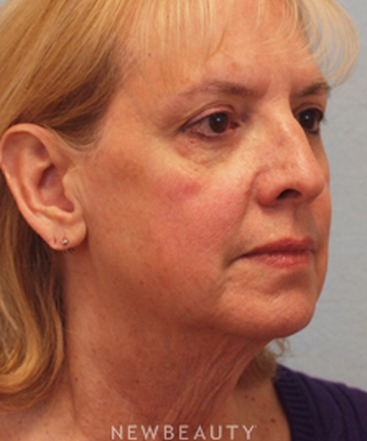 He offered laser treatment to reduce redness of my scar and I was pleased with the outcome. Now I can barely see the scar! Janette and Dr. Yeh are very friendly and kind. It hasn't even been a year and I am so thankful you can't even notice the scar on my face. Care first about your patient's well being. I wanted to take this opportunity to thank you for taking care of me. Most doctors limit the initial consultation to under ten minutes. I got a good feeling about you and your ability to do my surgery from the significant time that you spent consulting with me on our first meeting. You fully informed me of everything I needed to know. As a son of a doctor, I have seen excellent doctors and not so good doctors. You instilled in me a feeling that you care first about your patient's well being above all else. Today is Thursday, two days after my surgery and I feel fantastic, thanks to you." I had a blepharoplasty performed by Dr. Cory Yeh ... the cosmetic results are perfect and the improvement in my vision is astonishing. I am a 62 year old elementary school educator ... as I aged, there were noticeable changes in the appearance of my eyes when comparing past and present pictures. Dr. Yeh was very thorough in discussing the benefits and limitations of eyelid surgery. His demeanor and professionalism were extremely reassuring prior to the surgery and while I was in the recovery room. I returned to work two days after the surgery with absolutely no discomfort and very little bruising. I was extremely satisfied with the outcome ... it was obvious, to me, that Dr. Yeh holds himself to very high performance standards. I would offer a recommendation to anyone considering facial plastic surgery to visit this talented and professional physician. I could not be more pleased. I went to see Dr. Yeh for botox and a facial filler after recommendation by my girlfriend. I've had botox many times before and am used to the "no pain, no gain" discomfort with the injections. I couldn't believe how comfortable I actually was during the procedure with Dr. Yeh - I didn't feel a thing! I'm also so glad Dr. Yeh was the one doing the injection, since I've had nurses in other offices do it in the past and have had some problems. I will definitely be going back in the future for his expert care. Botox was never something I thought I would do for myself, but after seeing Dr. Yeh’s results, I thought I would give it a try. It was absolutely painless and I look very natural. It was very important to me that my face did not look “frozen”. Dr. Yeh did a great job and I will be returning in the future. Even before seeing Dr. Yeh, I had a lot of confidence in his work knowing that he specialized in reconstructive surgery and facial trauma. After meeting Dr. Yeh, I also found out that he is a truly wonderful plastic surgeon. I received Botox and Radiesse treatments and got a remarkable result. He is also a very caring and compassionate physician - I felt like he put my interests and my health as the top priorities. He listened to all my concerns and answered all my questions clearly. His line of skin care is also exceptional - I used his skin care product and saw a significant result after only 2 weeks. My skin is much smoother, brighter, and has more even skin tone on the sun damaged areas. Overall, I received nothing but exceptional care from Dr. Yeh. I am very thankful for his care and will continue to use his service in the future. My very first consultation was a great experience. I heard about Yeh Facial Plastic Surgery through one of my co-workers who underwent a procedure by Dr. Yeh. My very first consultation was a great experience. The minute I walked into Dr. Yeh's office, I felt like family. I was treated with respect by Dr. Yeh and his staff. He thoroughly explained the procedure I wanted and was very considerate of my needs. He and his staff answered all the questions I and my family had. They were very thorough with their answers and talked me through everything I needed to know. On procedure day, my experience was wonderful and exceeded my expectations. I was comfortable from start to finish and so pleased that Dr. Yeh was kind enough to call later on in the day just to check in and see how my recovery was going. I was extremely satisfied with the follow-up and the results. Dr. Yeh did an amazing job of contouring my face to look exactly like I wanted and I feel younger and look better than ever. Dr. Yeh is truly an artist! After undergoing my procedure I feel more confident - I am so thrilled with my results. I would without a doubt recommend Yeh Facial Plastic Surgery to everyone I know! I would absolutely recommend Yeh Facial Plastic Surgery. I read about Dr. Yeh in NewBeauty Magazine and went to see him regarding a Rhinoplasty. I read about Dr. Yeh in New Beauty Magazine and went to see him regarding a Rhinoplasty. The initial consultation was comprehensive, professional, friendly, educational and entertaining. He is very gentle and kind and shows confidence in what he practices, explains everything in simple language, takes time with your concerns, and does it in a friendly manner. I am so grateful to Dr. Yeh, I truly feel that my new look has given me extra confidence in myself. The change is subtle and that is what I was looking for when I walked into his office. He is a great surgeon, has good hands and a good sense of what beauty is, "not overdone". I love him and Janette, of course! I was 100% confident in my decision. So well educated, eager to help and friendly. My dermatologist recommended Dr. Yeh for reconstruction after Mohs Surgery. I was also interested in a blepharoplasty and had actually paid a deposit with another doctor, but Dr. Yeh's much better ideas made us rethink our first choice. Dr Yeh is so well educated, eager to help and friendly that his wisdom led us to take care of the Mohs repair first and postpone blepharoplasty until later. After I healed, I had my blepharoplasty surgery and achieved an excellent result. He answered all my many questions in a manner which informs but does not overwhelm the patient. I recommend Dr Yeh mainly because he deserves to be trusted with the " Window to Your Soul ", your face! His knowledge, surgical skills, psychological presentation ( i.e. he knows the best way to talk to each patient) and his artistic vision for beauty, all make him unsurpassed. Dr. Cory Yeh is a treasure in my experience. After researching earlobe repair on the internet I found Dr. Yeh online and had a very thorough first consultation. I was not rushed and he was very clear on all of the questions I had for him. The actual procedure was painless and easy and I was very satisfied with my follow-up appointment. This was my first cosmetic procedure and I wasn't sure what to expect, but Dr. Yeh was always helpful and willing to take the time to answer questions. I always felt that I was in good hands. The staff and Dr Yeh are professional, friendly and knowledgeable and overall I liked my experience at Yeh Facial Plastic Surgery. His caring attitude is exceptional. I share an office with someone who had a procedure done with Dr. Yeh. She recommended him to me. At my first consult I found Dr. Yeh to be comprehensive and easy to understand and he answered any and all questions I had. He even went as far as to answer questions prior patients had asked which I found helpful. His professionalism was Top-Notch. 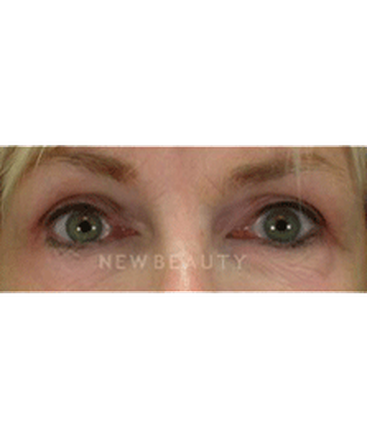 I was very satisfied with my new "natural look " after the mini-lift and micro-fat transfer around my eyes and mouth. Colleagues call me "beautiful", while before they only called me "pretty". I love the results! I also started using Dr. Yeh's skin care line, Restore and Rejuvenate. My skin is definitely smoother and clearer. Arguably, my results and that of my peers are a testament to the desired results. I now carry Dr. Yeh's business cards and freely give them out. His caring attitude is exceptional and he is always available by phone and email. I found Dr. Yeh on the internet and had a very pleasant first consultation regarding my mini-lift procedure. I had been to several other consultations but chose Dr. Yeh because he listened and answered all of the questions I had covering every aspect of the surgery. On the day of my procedure I was anxious but confident. I am 100% satisfied with my results and I strongly recommend Dr. Yeh because of his professionalism and carefulness with what he does. He is a perfectionist! I will forever be grateful to Dr. Yeh. In my search to find a reconstructive plastic surgeon I had no idea Dr. Yeh would be the answer to my prayers. After several consultations with other surgeons, I was beginning to think that the possibility of ever having my nose look normal again was going to be impossible. 4 months ago I was diagnosed with basal cell carcinoma on my nose. 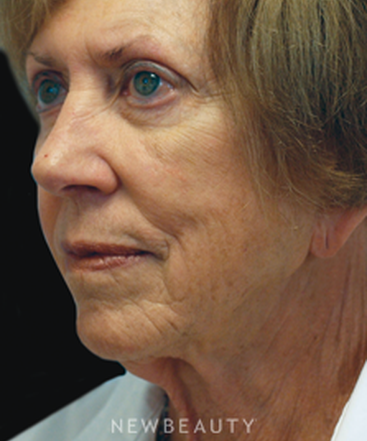 The dermatologist performed Mohs surgery and a skin graft immediately thereafter. To make a very long and agonizing story short, the skin graft failed miserably leaving me with not only a disfigurement on my nose but a through and through hole so near my nostril that it actually ripped. I had discolored skin from what remained of the skin graft and marks from stitches that were left in much to long. When I called Dr. Yeh's office to make an appointment, I spoke with Janette. She is such a kind and caring person expressing true concern for my situation. I had a good feeling from the start. On my 2 hour drive to my consultation with Dr. Yeh I was praying " God Please let him be the one that can help me." I had been keeping a band-aid on my nose trying to hide it for months and the embarrassment was not getting any better. Dr. Yeh spent over 2 hours during our consultation talking with me, asking me questions and examining my nose inside and out. By the time I left his office, I was confident that he truly was "the one". My surgery was performed a week later at Saddleback Memorial Hospital. My entire experience there was unbelievable; from admittance, the nurses, the anesthesiologist and everyone there who helped me. Not only were they all extremely professional, they showed that they truly care about their patients. During my 3 hour surgery, Dr. Yeh moved cartilage and skin, performing what I know had to be a very precise and tedious operation. The day after my surgery Dr. Yeh called me at home to check on how I was doing. I expected bruising and swelling, but I only had a little swelling on my nose and no bruising at all. A week after my surgery, Dr. Yeh removed my stitches and every day I look in the mirror I am amazed with the talent and skill that was performed on me. I cannot think of just one single word to describe Dr. Yeh. Talented, skilled, perfectionist, personable and caring are only a few. I am still not sure of how I was fortunate enough to have found him, but every day I am so thankful that I did. I no longer hide behind a band-aid. It has been 1 year since my surgery and not only does my nose look normal again, I also have my self confidence back. I will forever be grateful to Dr. Yeh. After a Mohs procedure, not only did I want Dr. Yeh to stitch my nose, but also wanted him to lift my eyelids and fix my undereye bags at the same time. Even though I already had a deposit with a different plastic surgeon, I was convinced by Yeh talking me out of doing a double procedure which would have brought him more money. So I switched doctors and waited a few months after the Mohs reconstruction, had the blepharoplasty under local anesthesia and the results were miraculous! I read every New Beauty magazine, and couldn't believe my "eyes-only" before and after pix were a main feature of his in this magazine. Once someone knows they need facial reconstruction for whatever reason, the biggest challenge is to find a doctor who is an artist, who isn't swayed by an overzealous patient, and brings out the existing beauty in each face. I'm so thankful his medical practice isn't in smoggy ol' Malibu because Orange County shines beautifully with a rare combination of talents in Dr. Cory Yeh! 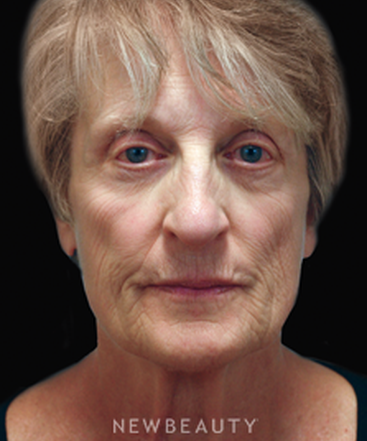 This woman was bothered by a tired facial appearance, heavy lines in her cheeks and aging changes to her jawline and neck. Dr. Yeh performed a facelift, necklift, micro fat transfer to the cheeks and smile lines, and an upper blepharoplasty to rejuvenate her face. 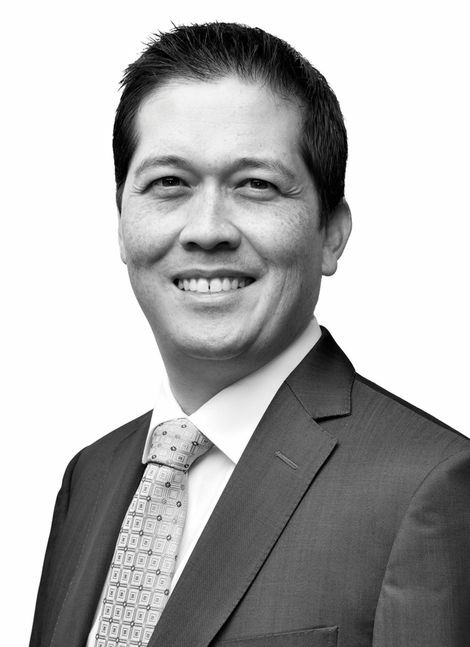 “The power of combining effective, minimally invasive facial procedures can help restore a more youthful appearance to the face,” says Dr. Yeh. 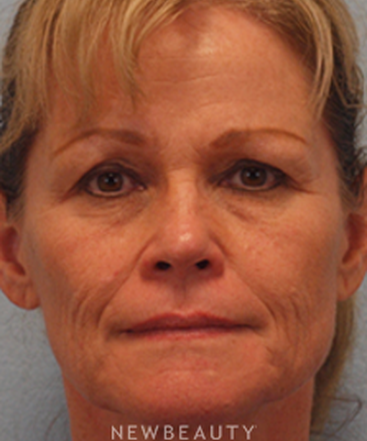 This patient wanted to rejuvenate her aging lower face and neck. Dr. Yeh performed a facelift, necklift and micro fat transfer to the cheeks to improve balance and youthfulness. 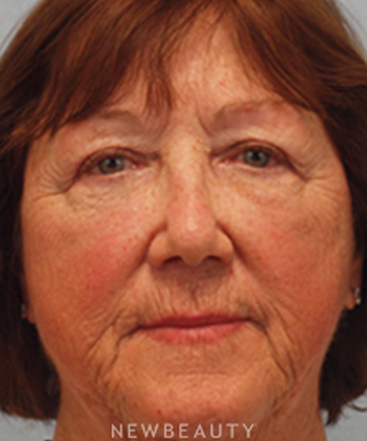 This patient wanted to improve the aged appearance of her cheeks, lower face and neck. 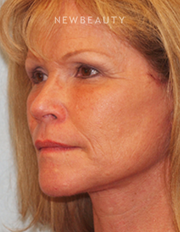 Dr. Yeh performed a facelift, necklift and micro fat transfer for a natural, rejuvenated look. 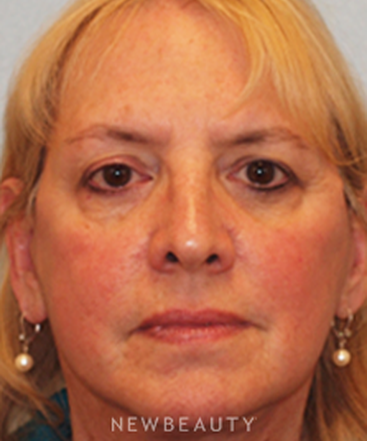 Bothered by deep lines on her face and the gaunt appearance of her under-eyes and cheeks, this patient underwent a facelift, necklift, micro fat transfer and laser skin resurfacing. Micro fat transfer is an innovative way to restore volume to the face using the body’s own resources. 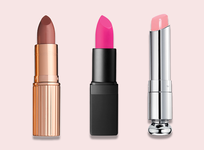 “Taking fat from one area of the body and then using it to contour the face is a great example of what I like to call ‘recycling through beauty,’” says Dr. Yeh. 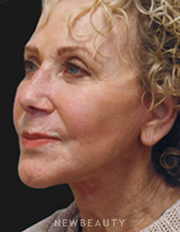 “I restore volume to areas of the face that have lost youthful fullness, such as under-eye hollows and grooves around the mouth, which can create a haggard appearance.” In combination with other procedures such as a facelift, a softer, more natural look can be achieved to give you a rested glow. “Patient satisfaction with micro fat transfer is remarkably high,” says Dr. Yeh. There's not a simple answer to that. It depends on the technique and materials that were used. There is potential to reverse it if it does appear to be overdone, but it's very individualized and depends on what is appropriate for that patient. It's not something that we commonly have to deal with because it should be done appropriately and well the first time. Q. 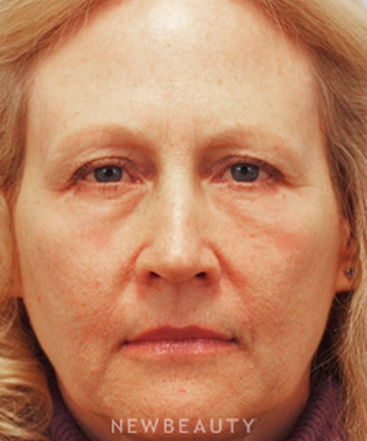 Are there less-invasive treatments to rejuvenate the face? Chemical peels are common. Chemical peels involve more application of specific chemicals. They are a minimally invasive office-based treatment. Also, some of our medications are topical treatments. 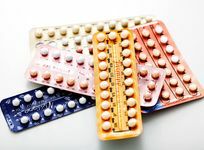 The patient can use them at home at night or in the morning. If it's a good product it may work very well. They are physician-strength skin-based treatments and are used for specific periods of time. They won't solve under-eye problems, or jowls or problems of the neck. Q. 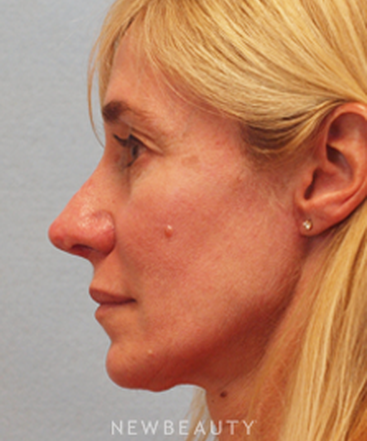 How are cheek and chin implants inserted? These have been around a long time. 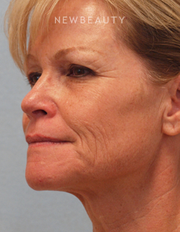 It's far more common to use a chin implant to augment the chin, than it is for cheek implants to augment the cheeks. The chin implant procedure can be performed by itself, or sometimes, along with a rhinoplasty to gain better balance of the face in a patient. It is most commonly placed through a small incision under the chin that is hidden in a small crease, so it is not visible. Some physicians use an intraoral approach, where they go behind the lower lip to access the actual chin. 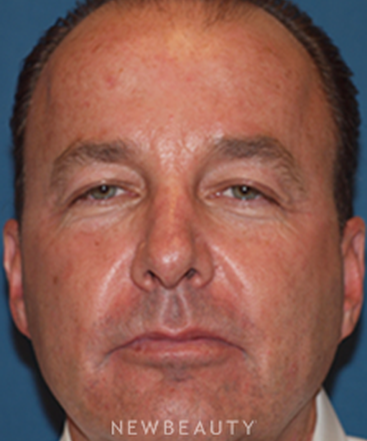 Cheek implants, when used are inserted on the inside of th top lip, and placed over the bone. The reason cheek implants are used less often than in past is because the skin is thinner and there is not so much soft tissue coverage. I worry that there is a great potential to great an artificial look, and instead, turn toward a filling procedure using fat or other fillers that work as multiple layers under skin to enhance the area without creating an artificial look. Q. How do you fix furrows or sagging eyebrows? A classic way to fix a sagging eyebrow is with a brow lift. The primary goal is to give an appropriate lift to the heavy tissue of the brows. With a brow lift, a patient can get relief from horizontal wrinkles that occur across the forehead as well. The approach I favor is a minimally invasive approach called an endoscopic brow lift where smaller incisions are placed in the hairline using special instrumentation to work in the forehead and the brows. It needs to be done with sensitivity because we don't want the 'deer in the headlights kind of look, or an 'overdone appearance. We have to maintain the natural arch and shape of the brow. 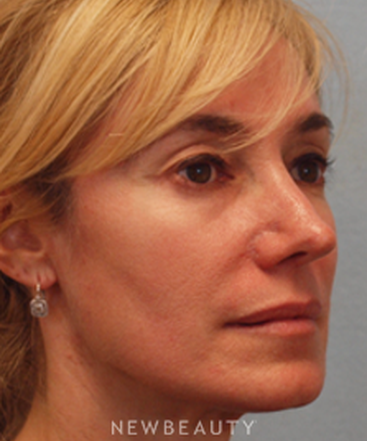 It is more appealing to elevate the lateral components rather than medial components of the brow. It's more about artistry or the surgical approach. Q. How do you treat under-eye hollows? If the patient doesn't have bags, but tends to show deflation, and the lower eyelid looks darker (there is shadowing in the trough in area), than I would not use a surgical approach, but would revolumize the lower eyelid using a micro-fat transfer (using the patient's own fat). Many physicians use specific fillers; but those can have potential to look lumpy because the skin is so thin, so it is risky. With a micro-fat transfer, you get about a year's longevity out of it. There are a couple of different approaches. It depends on the severity of the lines that are there. One is if it's more diffuse over the upper lip, than it's caused by over-activity of the muscle and then we can use a small amount of BOTOX to slightly weaken the muscle. For some lines that are worse and deeper, we can consider using soft filler to bring them out and level out the plane of skin. It needs to be done carefully, because we don't want it to turn lumpy. It requires skill. Another strategy is to work on the outer component of the skin. 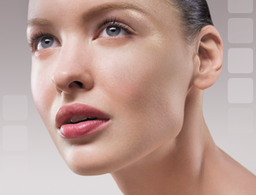 We can do either a chemical peel or a laser procedure which tightens the skin as it heals. It's completely individualized depending on the lines, age of patient, etc. Technically there is very minimal scarring. The principle is to help regain those years that have crept on the face, so we camouflage or hide the incisions using the natural folds and small lines around, in front and behind the ears. Those lines are difficult to see. There is a technique component that requires good technical skill on behalf of the surgeon to minimize scarring at the time of surgery. And the patient has to do his homework and follow all the physician's instructions. Most patients don't complain about scarring, but if there is a problem and it is identified early, we can use topical medications and laser treatments to restore appropriate healing. This is not common; otherwise these procedures wouldn't be performed. Q. 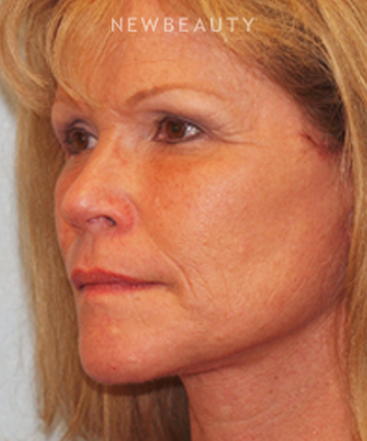 What is the difference between a traditional facelift and a mid-facelift? 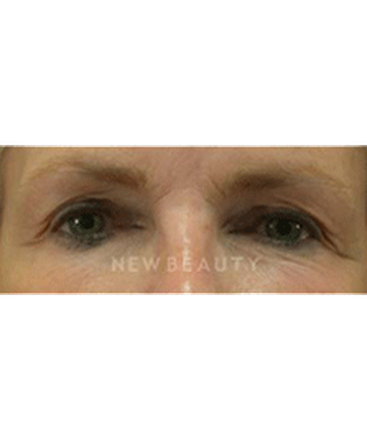 A mid-facelift, specifically addresses the area that is the mid-face, defined by the area underneath the lower eyelid and on top of cheekbones. In some people, this area deflates and descends downwards, giving the appearance of a blunted or flatted mid-face. A mid-facelift is very focal with what it addresses. It's an approach where we use small incisions in the hair line, where they can be well hidden. 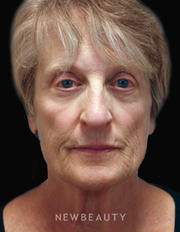 This tends to be more for younger patients tends who show early signs of facial aging. It is different than a standard facelift where the area we are talking about is the actual cheeks themselves, the lower face, the jowl area along the jawline, and the front and lateral side parts of the neck. 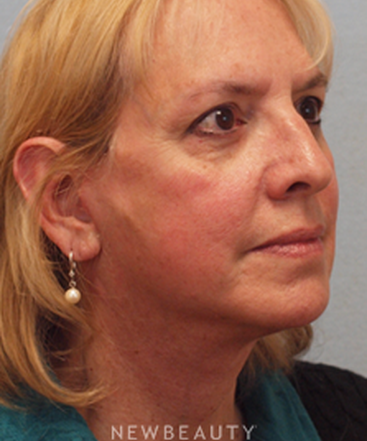 I have found in general in my practice going away from using the mid-facelift. It is being replaced by an approach where we are augmenting that area with something like a natural fat transfer. 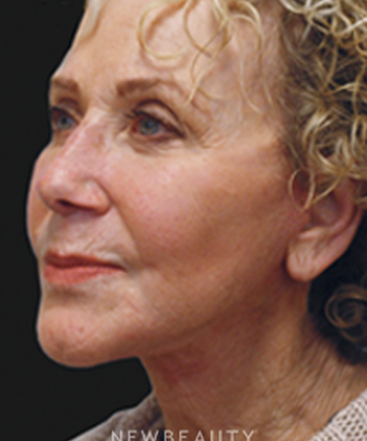 There is less recovery involved than with a facelift and it gives a very natural result. Q. 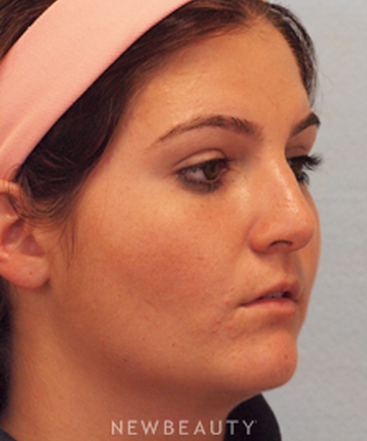 What is the average recovery time for fat transfer to correct under eye hallows? 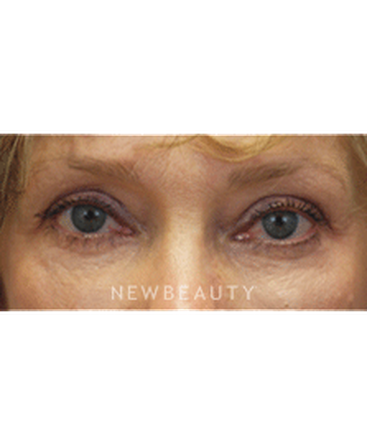 Fat transfer is a safe and effective technique to address under eye hollows and volume loss to the cheeks. Typically, most patients report a recovery of around 1 week. The recovery from this procedure may involve resolution of bruising to the treated area as well as reduction of swelling to this area after the procedure is performed. 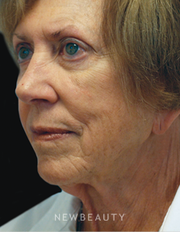 Many patients choose this procedure because it provides the potential for greater longevity. We conducted a recent study of patients who had fat transfer to the under eye area and cheeks and many patients obtained results of 3 years and up to 5 years. 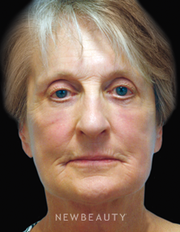 The procedure is safe, but needs to be performed by a surgeon with experience in this technique to avoid issues such as asymmetry or lumps. It is difficult to understand exactly what is going on in this case, but it is possible that there is improvement in the area of the nasolabial fold where the filler was injected, but it now appears that there is a depression in the nearby tissue where filler was not placed. It is not usual for patients to report a contour depression in the skin in the area of injection unless the patient has developed scar tissue which is pulling the skin inwards. A good follow-up appointment with your provider is required so this area can be carefully examined. If the filler needs to be removed, there is an injection that can be performed which can help remove the Juvederm and restore the pre-injection appearance. the end, it is up to the patient to decide their own level of comfort as they consider the benefits and potential risks of various aesthetic treatments. Q. Does it makes sense to travel to a less expensive location for a face lift? I wonder about follow up care etc. I live in Hawaii where things are very expensive! Thank you. 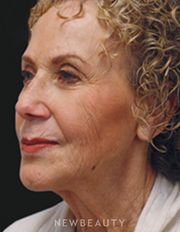 The decision to undergo an invasive facial cosmetic treatment such as a facelift should not be taken lightly. I would recommend that any patient considering this treatment should undergo a thorough consultation and exam with a board certified qualified surgeon who specializes in facial cosmetic surgery. The choice of where one travels should be carefully weighed by the particular surgeon who is located in that area, as well as other factors such as the patient's ability to comply with the expected recovery time and follow-up appointments. A surgeon who specializes in facial cosmetic treatments should be able to help guide you regarding the appropriate treatment plan which will give you the most optimal aesthetic result. Q. Does a chemical peel reduce wrinkles? There are multiple approaches to help reduce wrinkles near the mouth and eyes. These include surface skin treatments such as chemical peels as well as laser resurfacing procedures. 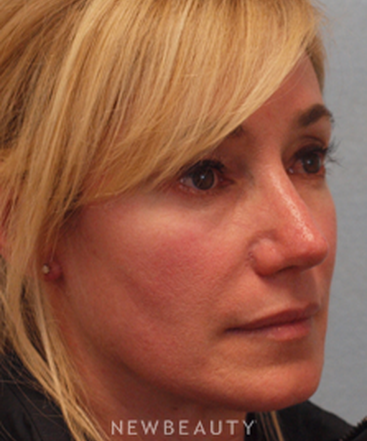 Often, neurmodulators such as botox or facial fillers can be used to soften the deeper lines. The appropriate treatment choice is best determined during a thorough facial consultation with a physician who specializes in facial cosmetic surgery. Q. How long does fat last if used to restore the face? 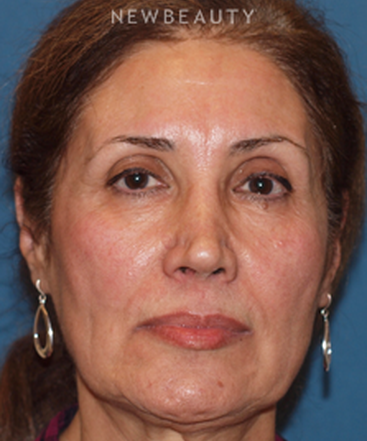 We recently did a study, the first of its kind, of patients who had fat transferred to the lower eyelid area. It showed that it lasted three to five years in most patients and some went beyond that. With filler like Restylane, we get maybe nine months to a year. So it lasts three to five times as long. There are a couple of ways used. Lasers are very focal tools that really have to do with specific wavelengths of light. We have to identify what the problems are, and then have to pick the right laser. If the patient has capillaries and veins on the nose and cheeks, or spider veins on the face; or a rosy hue and extreme blushing, it's more vascular in origin and we have to use a specific type of laser. 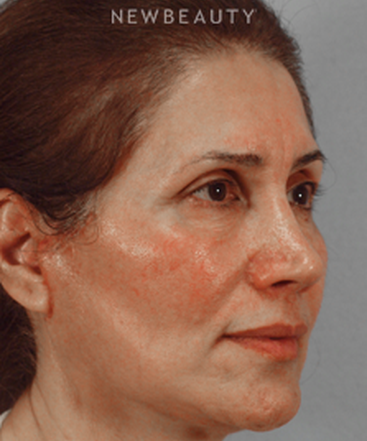 If they have age spots or brown spots, we might choose a different type of laser specific for brown spots. If they have fine lines and textural changes in the skin, we do a laser resurfacing procedure to remove the outer skin and regenerate new skin, which has a tightening effect. It depends on what the type of skin issues are that the patient is dealing with, and then we pick the appropriate tool. There isn't one individual laser that solves everything. They may have a lot of these issues. It is inappropriate for a physician to characterize a laser as such that will solve all of those problems. They are very specific tools. If we pick the right laser, than we will have great success. Q. How do I fix hollow cheeks? Honestly, this is not a common problem, but can occur when someone is underweight or is quite fastidious with their exercise regime and they burn fat off in their face. If that is what they are complaining about, then we usually restore volume that has been lost in that area using a non-surgical procedure. I would turn more toward addressing the issue with fillers. 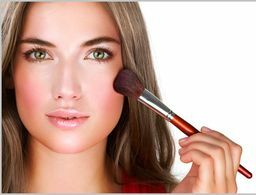 They can do a great job but with hollow cheeks, it can be tough because we have to use a lot more which can cause lumps, bumps, and lines. 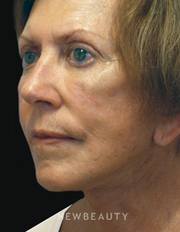 One type of filler, Sculptra, works better for this area because we can restore more of the whole area and not just a line, and it tends to last longer, up to two years. 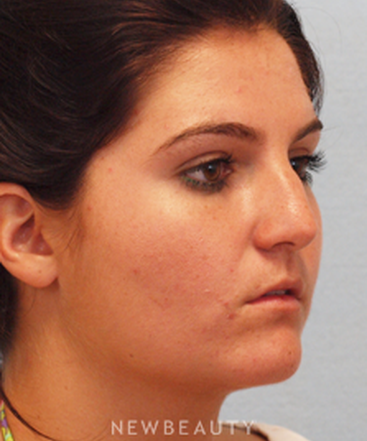 Another way to fill this area is to use a micro-fat transfer procedure where we are using the patient's own fat. Q. How do I get rid of jowls? This occurs later on in life, usually after 50, and is a real problem that gives a frowning look. 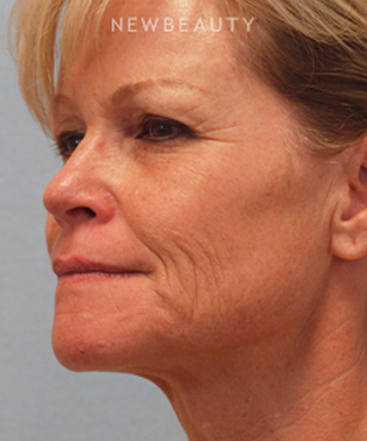 The best way to get rid jowls for most patients is a surgical procedure called a lower lift. There are different approaches, but usually involve minimally invasive shorter incisions or a mini-lift procedure. Many choose that instead of a larger facelift because the recovery is shorter than with a larger facelift or lower lift procedure. It can be done in an in-office setting with local anesthesia. The recovery is faster and the longevity seems to be for many years. Q. 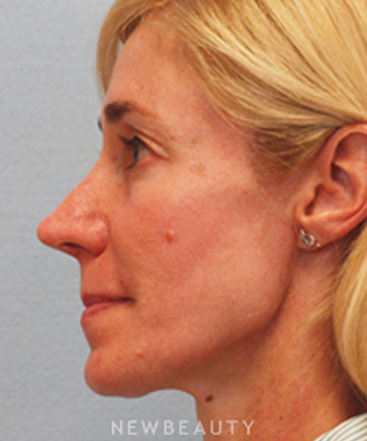 How is a patient's own fat used to restore volume to the face? 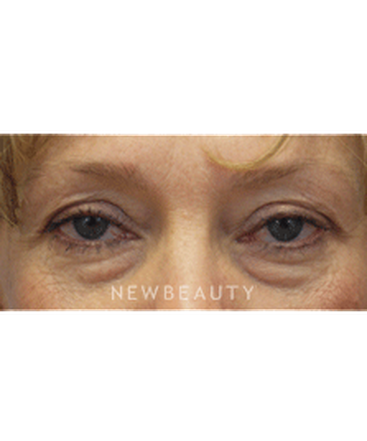 It's most commonly done in the lower eyelid area, the mid-face which becomes deflated with aging and gets to look very hollow and gives a tired appearance under the eyes. This technique does a really nice job of naturally bringing back volume and creating a rested appearance without long-term recovery. With a fat transfer, we typically obtain fat in one of two areas, most commonly from the abdomen, and, for women often in the upper lateral thighs. When we remove it, it's not really liposuction. It's done very smoothly and delicately, and we have to prepare it because we want the fat to be well. We use very small cannulas and make one tiny incision in either the belly button or upper lateral thighs. 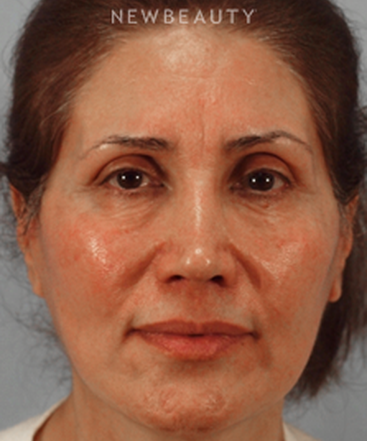 We take enough fat, prepare it and then it is re-injected into specific areas of the face. This can be done all at the same time. 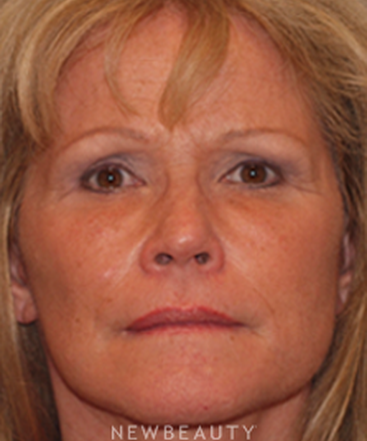 Another common area that is filled using fat transfer are the smile lines around the mouth, or nasolabial folds. We can use other fillers, but we get more long-term correction using fat. The fat process has changed over the past 10 years. 10 years ago, it was used too liberally. It was used not only in the neck and cheeks, but in the areas of the jawline in effort to gain a more sculpted appearance of the face. This has shifted because we have a better awareness of the principals of aging that patients encounter from their mid-40s on. 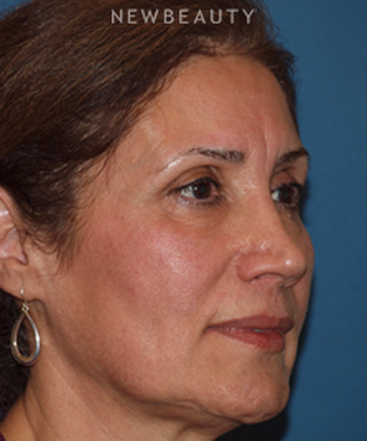 More patients have a deflation or loss of volume in the face, so it doesn't make sense to use a liposuction technique or to remove tissue. Today, it is most commonly still used in the anterior frontal part of the neck because some people can accumulate fatty deposits in this area; or for those patients who have fullness in the lower part of face, it can be used. . I feel it is not a good idea for the mid -face or cheeks, cheekbones or anywhere above the jawline. It's exacerbating that part of the aging process. Q. If multiple lasers have to be used to treat different skin issues, do you use them all at one time, or do you have to space out the treatments? It depends on the laser that's used. We have to limit recovery time and interactions between lasers. We have to keep patients safe. If we are using non-ablative lasers, there is little recovery and bruising and swelling, so we can pair it with something else. But, if it is a more ablative laser, than we can't pair it with anything else because there is a recovery phase. Q. What is a stem cell facelift? This has to do with terminology. It's more of a buzzword and details vary tremendously depending on the physician and what technique they are using. The way I look at it, a stem-cell facelift really means a surgical lifting and some physicians go about using some type of stem cells placed in specific areas to accelerate healing. Some are using this terminology to describe something that's not really a facelift, nothing to do with surgery or an actual lift, but using stem cell products to replicate what we might expect with an actual facelift. Research shows that fat used for a fat transfer may well include some stem cells that can be regenerated on the skin. We are on the cusp of understanding these procedures well. Q. 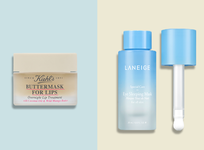 What is the best way to get rid of under-eye bags? 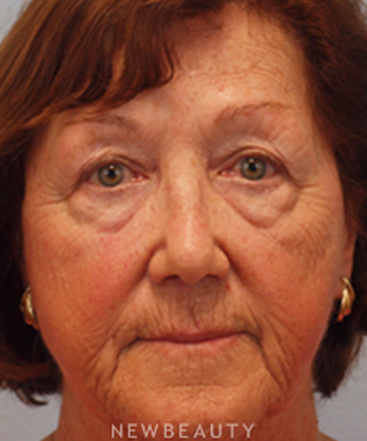 This is a common problem that has to do with the way the lower eyelid ages. Some patients have heavy bags that are more genetic in nature. The bags are really a herniation, or pseudo-herniation, of small amounts of fat or soft tissue that are protruding. 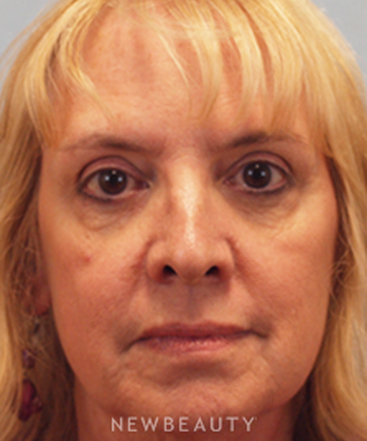 In this case, the best approach to improve them is surgical with a lower eyelid blepharoplasty. The traditional approach is to make a small incision under the eyelashes. An alternate approach, and one that I favor, is a transconjunctival blepharoplasty, where we make a small incision on the inside of the lower eyelid. I favor this approach, if it is appropriate for the patient, because the incision is hidden. It has been shown in many studies that if is done right it reduces the chance of scarring and distortion of the lower eyelid. It's a safer technique, but not everyone is candidate for it. It varies from patient to patient. Bruising is less of an issue with rhinoplasy. If their nose is leaning to one side and we have to reshape the bone, those patients have a greater chance of bruising. 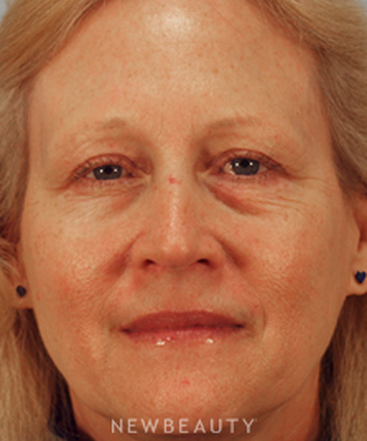 The bruising occurs on the sides of the nose under the eyes, but not everyone gets it. Swelling is much more common; and is directed to specific areas or can settle in areas that have thinner skin. It depends on the pre-op condition of the nose. If they have only minor changes, than that surgery can be more focal and they may not struggle. If we're reshaping the tip or hump, and there is more that's done, than those patients may struggle with swelling that may take longer to resolve. Q. 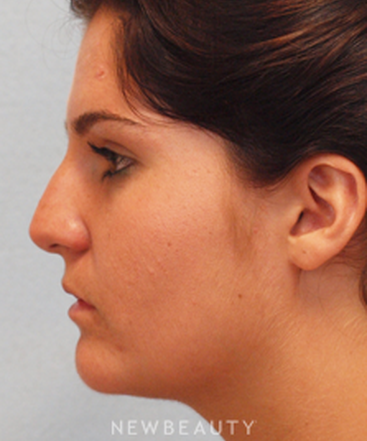 How does nose job fix a deviated septum? It's the part of the nose on the inside that separates the left from the right nasal cavity. Ideally, it should be straight and narrow, not deflected from one side to another. Most patients who need something done about it have are having a problem with breathing, a nasal obstruction, or other issues with the alteration of air flow. 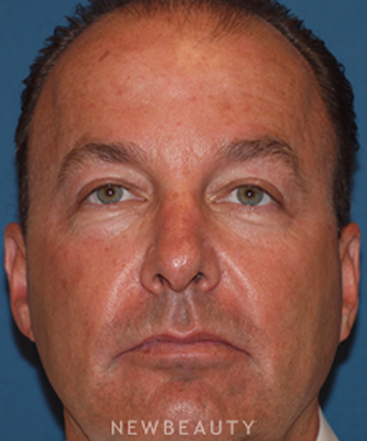 The approach I use is a septoplasty, which typically involves the inside of the nose. (It isn't expected to change the appearance of the nose.) A small incision is placed inside the nose, and then we alter, modify or remove the cartilage or bone that is creating the problem. It's an out-patient and common procedure. There is less of a recovery than when changing the appearance of the nose, no swelling and a minimal risk of change in proportion. Everything is hidden inside the nose. Q. 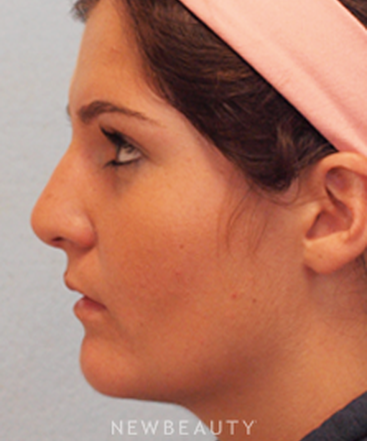 Who is a good candidate for rhinoplasty (nose job)? Anyone who is struggling with some anatomic difficulties with their nose, and it is a self-confidence issue. The nose is the most anterior projection of the face, so if it really trouble s them and they are struggling with self-confidence, they may want to consider it in their earlier years; but there is an age-related factor. We have to make sure, if it's a younger patient, that they have finished maturing emotionally as well as physically. There are structural changes that occur as we grow, to the outer and inside of the nose, just like growth in rest of body. There are also many patients that wait until they are older because they were not in a position where they could do it earlier. Anyone considering it needs a good exam to make sure there is potential to help them. The nose is an important organ that controls the way we breathe and smell. We must always maintain the structure and integrity of the nose to make sure it functions appropriately. An overaggressive approach can't be used and the surgeon and patient need to have realistic expectations. Q. What causes wrinkling and saggy upper eyelids? First it could be the skin itself, which starts to lose its elasticity and the properties of the skin changes. The existing skin loses firmness. We are more prone to that in the upper eyelids because the skin is very thin, it's the thinnest skin in the body. Hooded or heavy eyelids make eyes appear smaller. It's a common thing patients develop as they age, and the procedure called an upper blepharoplasty is one of these most common surgical procedures that we use in facial plastic surgery. . 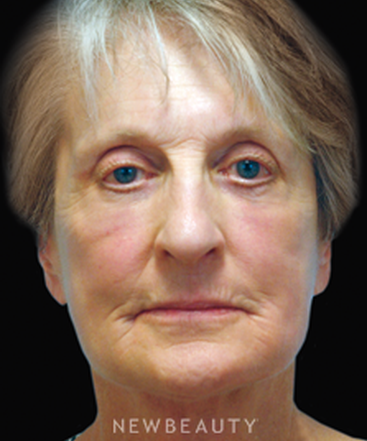 In some patients there is more of a bulge and fullness (herniating fat) in the medial aspect of the upper eyelid. If that's what going on, we can address that by removing that herniation.